ETA: The pattern is now available for free here! Yarn: Sirdar Peru Naturals 5x50g balls, Turquoise-Brown (not that you can tell that from most of the photos. I probably should have opened the red curtains before I took the picture. *facepalm*) But basically any chunky single ply would work really well. Approximate Cost: Just under £20, not including needle. 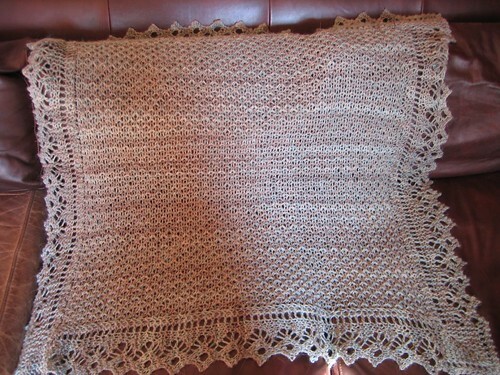 I really love that the blanket is reversable. Especially when it’s blocked, the ‘wrong side’ takes on a very similar look to the right side. And since the edging is knitting on, all the way around, (and garter stitch), there aren’t any raised seam edges or whatever that give away which is specifically the back and which is the front. Plus I was in the mood to crank out a chunky blanket, and I’d spotted, and been really impressed by, Sirdar Peru, which is both wooly, and squishy. 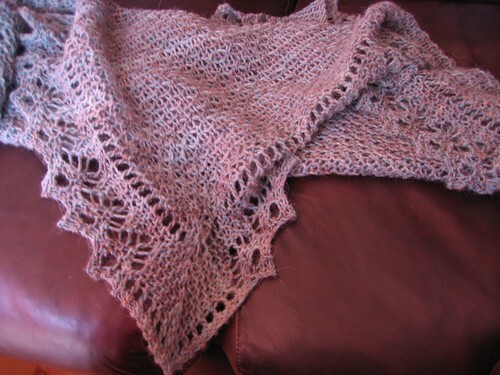 Such a beautiful blanket – I would love to see a published pattern! It’s gorgeous Katie!!!!!!!!!! I love love love it! That’s gorgeous! 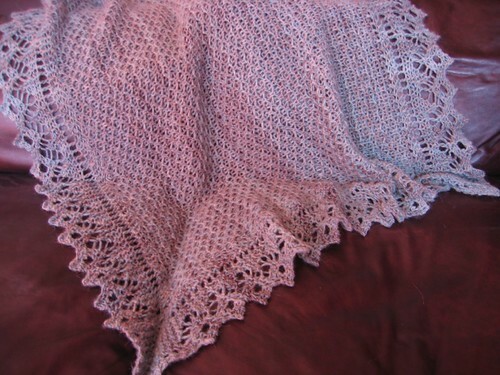 I’m familiar with knitting-on a border (are the corners short-rows of garter-stitch? ), but what’s the stitch you used for the central panel? It looks fabulous – really 3D! 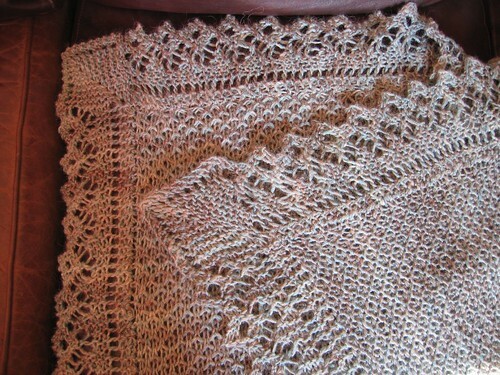 The pattern is a brioche pattern that I saw being used for a jumper in IK. It’s all knit stitched, but every other stitch on every other row is knit in the row below, which gives the waffle effect. Yes please,I’d love to have that pattern. When you use it for your baby, remember to check that her/his fingers don’t get caught in the holey bits. 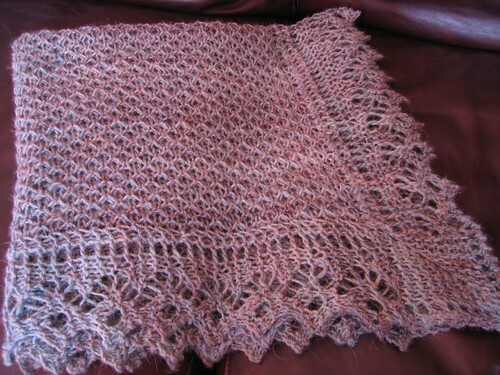 That said, I shan’t hesitate to knit it for the next small person that comes my way.It will be light, warm and very pretty. Yes, i was thinking the same thing about the holes. I’m planning to fold the front border over so that bump doesn’t get a face (and as you say – hands!) full of lace.